P&O Cruises are offering Event Cruises to famous festivals and world-renowned events as part of their 2016/2017 itineraries. Monaco Grand Prix (from Villefranche) on Oceana – enjoy grandstand seats or standing places for the most glamorous of all Formula 1 races. Monaco Historic Grand Prix (from Villefranche) on Oceana – grandstand seats or standing places will be available for this race that features cars from the 1930s to the 1980s. Kiel Week (from Kiel) on Arcadia – cheer on the 5,000 sailors and 2,000 vessels as they race on the waters of the beautiful Kiel Fjord. Naples Pizza Event (from Naples) on Britannia – during the greatest celebration of pizza in Italy, guests can watch competitors as they vie to produce the best in the world. Monaco International Fireworks Festival (from Monte Carlo) on Azura – the top deck of Azura is the place to be as the best pyrotechnical specialists in the world compete and display the latest firework innovations. Madeira Flower Festival (from Funchal) on Oriana – at this annual spring festival where the streets are carpeted in flowers, guests can enjoy traditional music, a variety of shows and numerous exhibitions. Copenhagen Jazz Festival (from Copenhagen) on Aurora – a day and evening in port gives plenty of time for guests to experience Europe’s largest jazz event with jazz celebrations continuing on-board. New Orleans Jazz & Heritage Festival (from New Orleans) on Oriana – the ‘Jazz Fest’ as it is known locally, is a feel-good musical smorgasbord served up on more than 12 stages and featuring soul-stirring music including jazz, Cajun, blues, R&B, rock, funk, African, Latin, folk and much more. Feria de Malaga (from Malaga) on Oriana – experience one of Andalusia’s most important festivals during which the streets are alive with Flamenco and flowing with Sangria. P&O Cruises are also following the lead of sister-line Cunard by offering more evening and overnight ports of call. In total they are offering evening calls in 33 ports throughout 2016/2017 along with overnight stays in 13 popular destinations including Amsterdam (The Netherlands), Barcelona (Spain), Bridgetown (Barbados), New Orleans (Louisiana, USA), New York (USA), Quebec (Canada), Reykjavik (Iceland), St Petersburg (Russia) and Venice (Italy). P&O Cruises’ Oriana will be calling at three maiden ports of call next year: Corigliano Calabro (Italy); Crotone (Italy); and Tarragona (Spain). 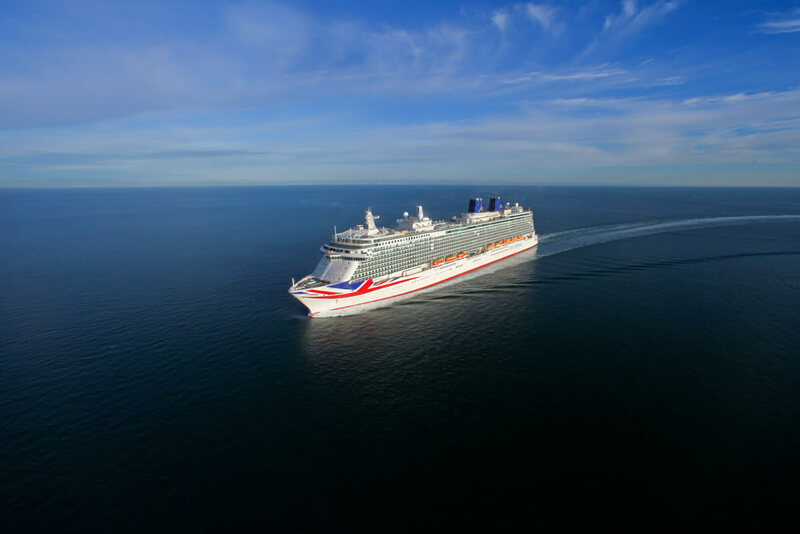 P&O Cruises are also continuing to offer no-fly cruises from Southampton as well as a selection of seven- and 14-night Mediterranean fly-cruises from Venice or Genoa on Oceana and 14- and 28-night Caribbean fly-cruises on Azura and Britannia.